A deep rich bronze and black textural finish. Charred wood never looked so good. Board widths can be created at 4.5”, 9”, or a mixture of custom sizes. 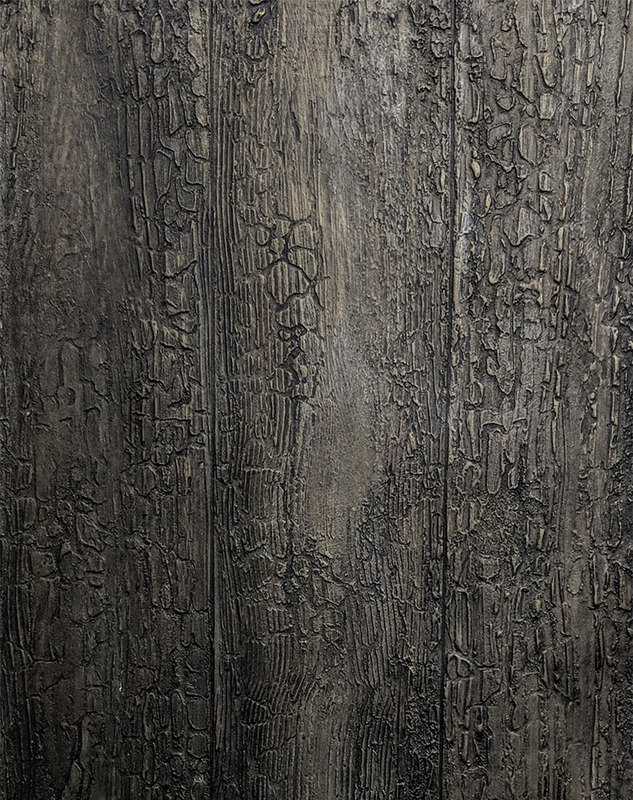 This wallpaper looks exactly like aged barn wood but won’t give you splinters!